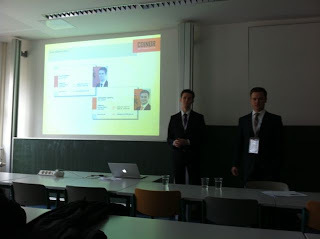 My visit to Berlin was due I was speaking at the Berlin Exchange Days conference. I arrived at Berlin the day before at noon. 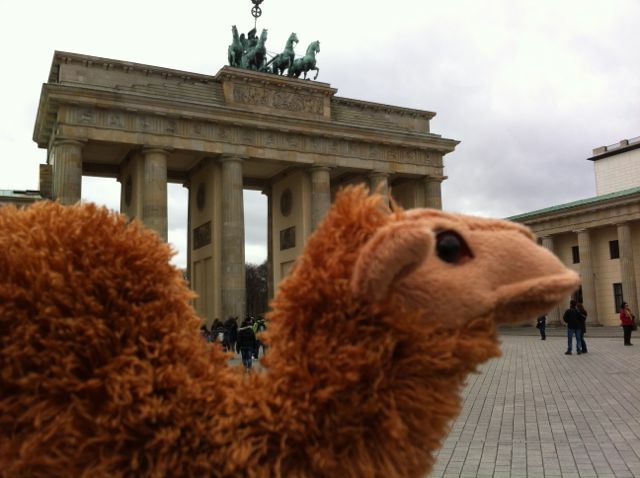 So I had time to stroll around in the city and to see some of the famous landmarks such as the Brandenburger Tor (see photo above). 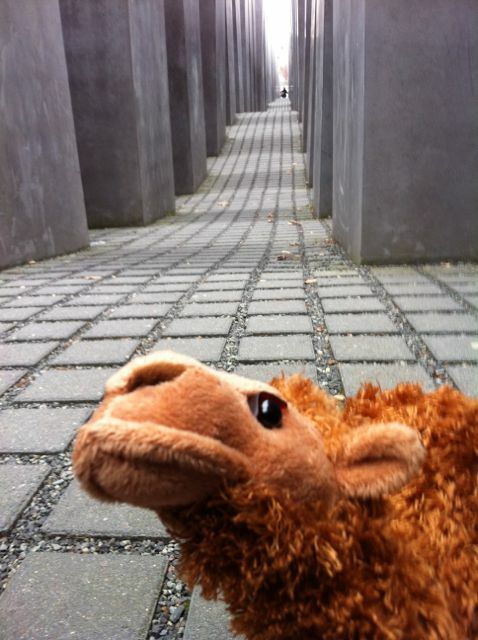 The WW2 memorial is just next to the tor, so my Camel and I went also there. We then strolled down the street Under den Linden, as my hotel is located at Alexander Plats which is about 2.5km from the tor. Not so far from Alexander Plats, there is a park where Karl Marx and Engels is sitting. 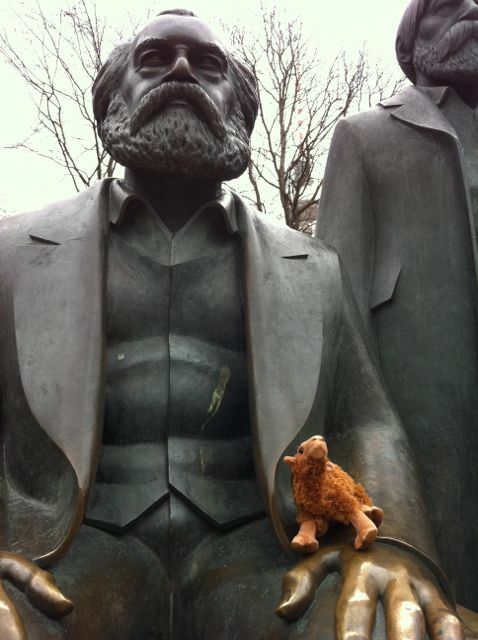 So they had a chat with the Camel. 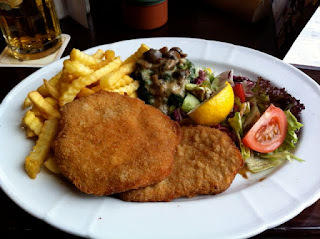 As I was hungry I located a Berliner restaurant nearby Alexander Plats and ordered a Wienerschnitzel, which is famous German cousine. The next morning I went on my way for the conference, which took place at the Free University of Berlin, so it was a 45 min ride with the U-Bahn. The organizers have put up signposts with directs for the conference, so it was easy to find. I sat down for the first talk by Paul and Christopher, from Coinor, who gave a presentation about open source integration with Apache. A perfect match as they gave a run down of a real life use-case for a bank, where they are using the Apache ActiveMQ, CXF, Camel, and ServiceMix/Karaf for their needs. They gave an introduction to the products, and scratched the surface a bit on each product. Then my talk succeeded, where I focused on Apache Camel, and gave a talk with a twist of humor. After 25 minutes of slides, we went practical and did live demos, and coding. I got myself into enjoying this, as it helps people see things fall into pieces. I have accompanying slides with highlights of the source code so its easier for everyone to see; as well for people viewing the slides afterwards. In the demos we have a bit fun with the new twitter and web-socket example I previously blogged about. And with the powers from Fuse IDE we can do runtime introspection into the applications, and see performance statistics as they occur in-real-time. As well we updated the route within restarting the JVM. 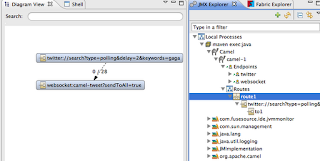 Also Fuse IDE allows us to see the DSL in both Java code, but also with EIP diagrams which really helps people better understand this. We also gave a little rundown of a Groovy example which allows you to do quick and dirty prototyping from a single .groovy file, without any Maven or other build tools etc. And lastly we covered how you can create a new Camel project from scratch. For example using the Maven archetype tooling, and/or the Fuse IDE which also can create new projects, fully from within the IDE. The talk was well received, and the room was packed. I have to give a warm thank you to the organizers, and the sponsors who make this conference possible. Good work and good luck with the conferences in the future. 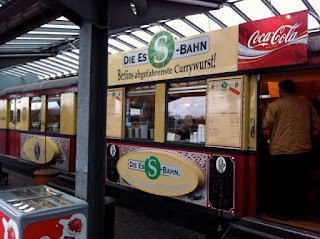 At the airport I took in my last breathe of Berliner experience at the Berliner Currywurst cafeteria, which is an old used train wagon, located at the D-terminal. All together a nice visit to Berlin. 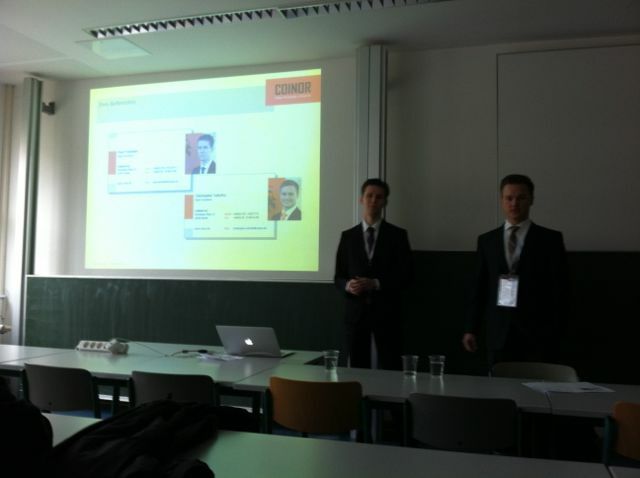 I have posted the presentation to my slideshare account. To bad that Schalke 04 lost the game yesterday. Nice to see Raul is still going strong. They really love him in Madrid, and his Schalke jersey is among the top sales on the streets there. Registration is open for the second annual community event created specifically for enterprise users of open source integration and messaging taking place in Boston, MA, May 15-16. Join us and learn directly from your peers and other industry experts how Apache Camel, ServiceMix, ActiveMQ and CXF can deliver measurable technical and business benefits to your organization. Register now to attend this powerful gathering of professionals using open source integration and messaging solutions in the enterprise for an engaging and educational 2-day conference plus terrific opportunities to network, socialize and collaborate with 200+ fellow Camel enthusiasts. This year Jonathan and I have the honor of giving a keynote about the past, present and future of Apache Camel. And of course James Strachan is attending as well giving a talk about Camels in the cloud. Register by March 30th for the early-bird rate of $395. Register today! 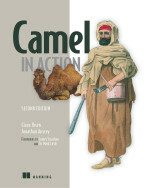 If you are already using it and interested in speaking about your journeys on the back of the Camel, you can send your speaking proposals at camelone@fusesource.com. Optimize your time at the conference with post-conference educational training led by Apache experts. These highly interactive sessions drill down into Apache ActiveMQ 5 and ServiceMix 4 with Camel. Click here for details. You can find more details about the event at the CamelOne site, such as the agenda, list of speakers and talks, venue, and much more. 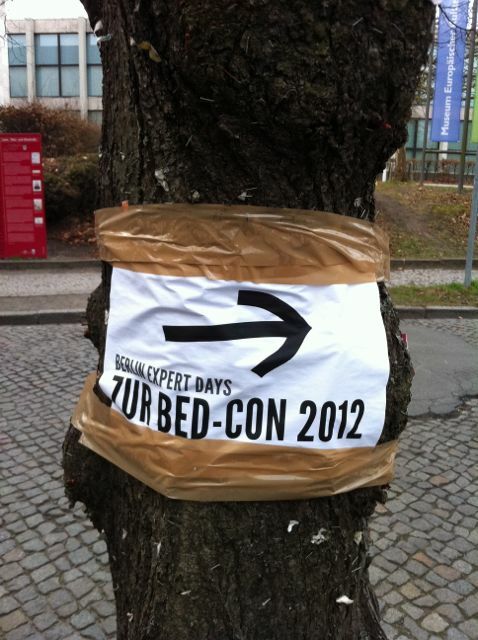 I hope to see you there, and this time we can share beers in the evening between the two conference days.